A light bulb is only as good as the fixture you put it in. 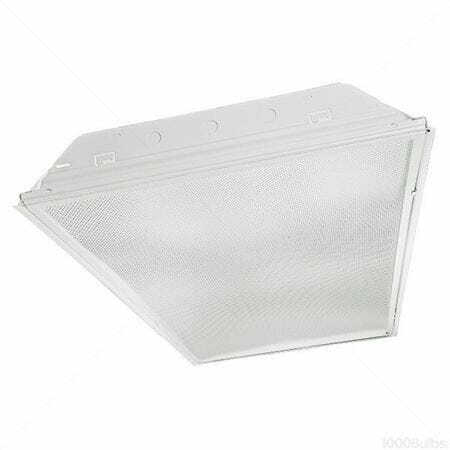 If you’ve ordered fluorescent lighting ceiling fixtures from MEBULBS™, then your lights will be very good indeed. There are a lot of different fixture options depending on the area you’re lighting up, the available space and your stylistic preferences. We have been designing the brightest, whitest and most efficient lighting since 1974, and the same care and commitment goes into each of our fluorescent fixtures. We have industrial Xtreme Duty™ down to Residential Duty lighting fixtures manufactured to our exact specification so you can take full advantage of the MEBULBS Hybrid™ fluorescent bulbs that go in them. 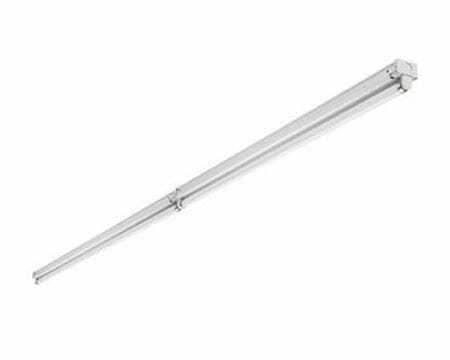 We have nearly a dozen styles of fixtures with additional options to meet any lighting system and budget. 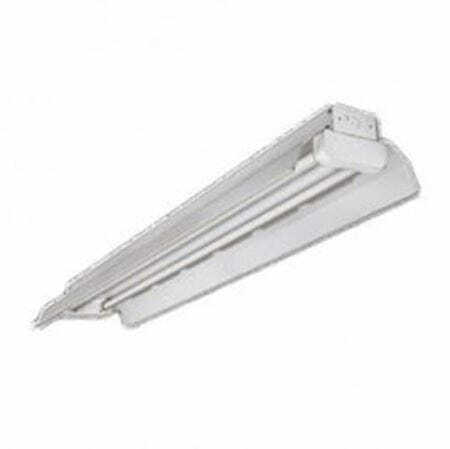 Order highbay fluorescent lighting fixtures for warehouses and gymnasiums, paracube recessed fluorescent lighting to reduce glare on office computer monitors, wrap around fixtures for garages and stairwells and many other others. 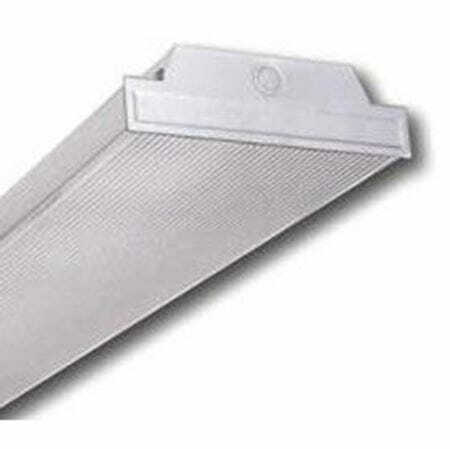 Need a two-lamp F40T12 channel light fixture with rapid-start ballast? 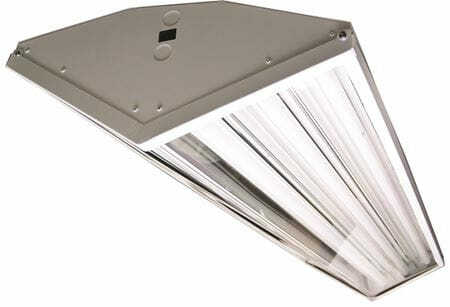 How about an eight-lamp program-start highbay for F32T8 lamps? We have them in stock and programmed to work with both 120- and 277-volt electrical layouts. 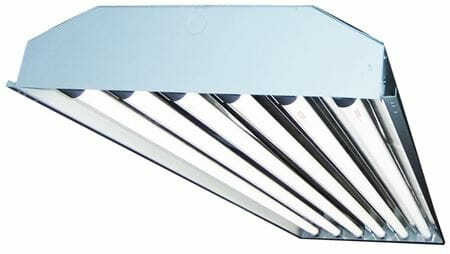 And the ballasts in our Xtreme Duty™ fixtures are guaranteed to work for up 30 years – that’s a lot of light! Our fixtures can save you hundreds of dollars a year in energy efficiency, especially when compared to ordinary incandescent systems or older, worn-out fluorescents. 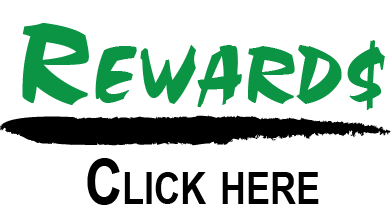 Install them as part of a new building construction, or replace your existing lights knowing the project will soon pay for itself. 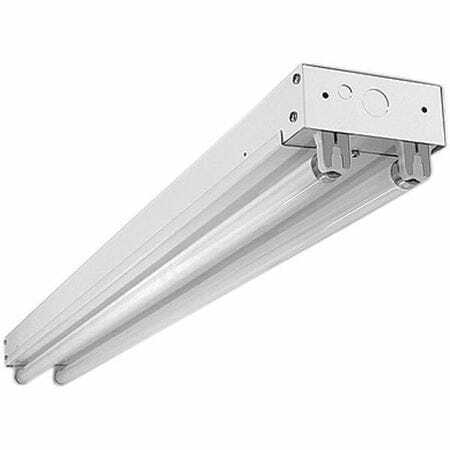 Our fully trained professional representatives are ready to assist you with finding the right fixtures for your project, and can also help pick out fluorescent tubes that are the best fit. 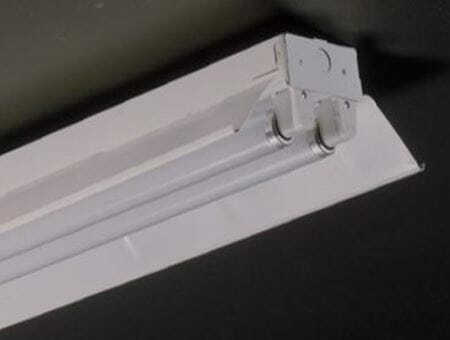 MEBULBS can match any customer’s situation and price point with a fluorescent lighting fixture that is good for them and for the environment. Contact us for ordering assistance or answers to product questions.